Find the Vector Clipart and Pencil Sketches from Photos Tutorial here. Creating the clipart of Tweetje following the tutorial. The tutorial was written for PSP 7 and I am using PSP 8, so I took this opportunity to try out the vector freehand drawing tool. Lot of new learning going on here! 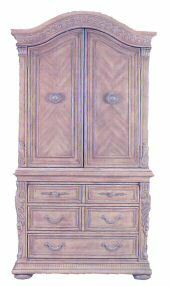 Started with this scan of a wardrobe I saw advertised in the Sunday paper. Followed the tutorial and applied it to the wardrobe. 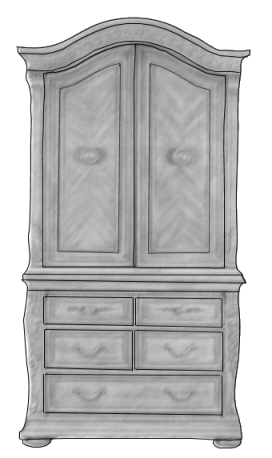 Also saved the basic drawing of the wardrobe. 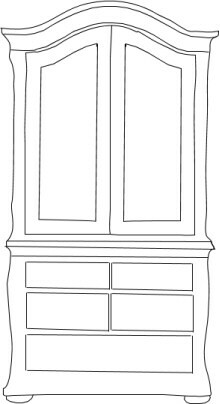 Then starting with the basic clipart drawing I filled in the shapes with a wood pattern. 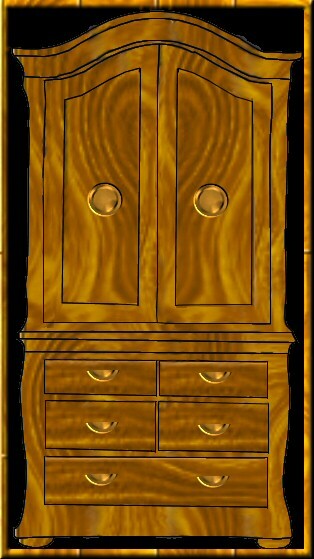 Added a button from the pre-set shapes, colored it with Effects/Texture/Sculpture/Gold. Cut one of the buttons in half to use on the drawers and added a border.